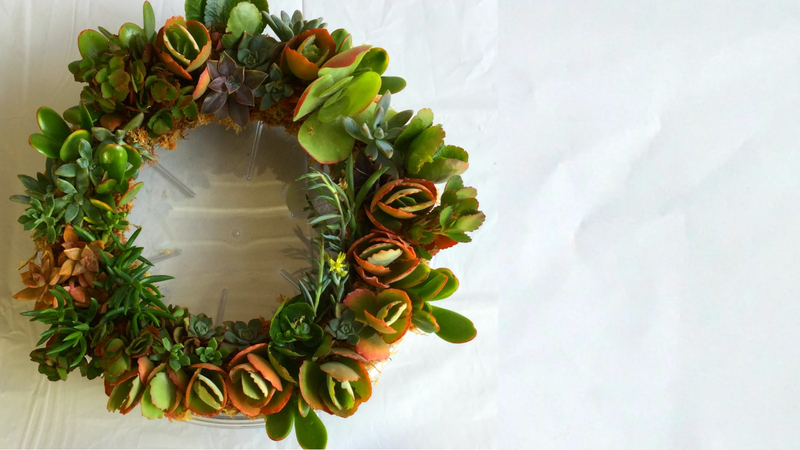 How to make a living wreath with succulents. If you haven’t had a go at working with succulents, I highly recommend it. 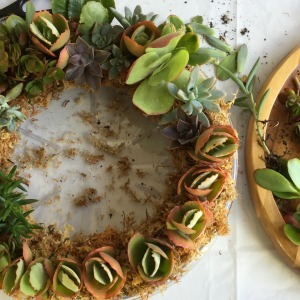 I can’t wait to show you How to Make a Living Wreath with Succulents. Not only are they beautiful plants which come in all shapes and sizes, but succulents are also really easy to work with. 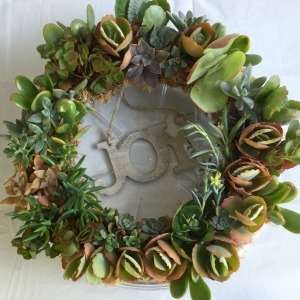 Recently, we did a guest post on Kidspot of our amazing succulent wreath. It will be taking centre stage on Christmas day, but it would look fabulous on a wedding or function table as well. Are you a ‘succa’ for a good craft project? This clever wreath tutorial will entertain the kids, and if all goes to plan, they could gift it to their teacher for helping your child grow. Step 1. 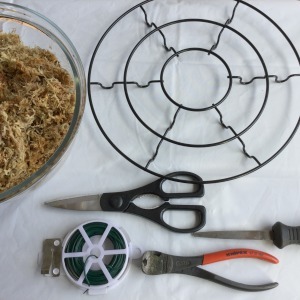 If you are using a pot plant stand like I have, using side cutters, remove the inside by cutting through the metal, then gently file any sharp edges. Step 2. Wrap the wire around the frame to fill the space and provide a base for the succulents roots to grab onto. 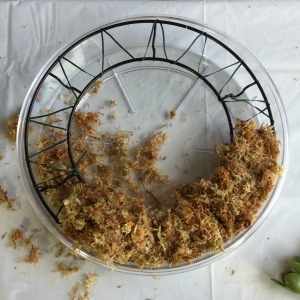 Continue around the frame then place the frame in a plastic plant pot tray with enough room to be about to work underneath the frame so you can pull the succulent cuttings through. Step 3. Soak the sphagnum moss in water to hydrate it, then squeeze the excess water out. Place it in a bowl. Mold the sphagnum moss around the frame and build it up to a thickness of about 8 cm. Secure with wire as you work around the frame. Step 4. Using the end of a chopstick, make holes in the sphagnum moss and gently push the succulent cuttings through the holes. Work your way around the frame and fill all the spaces. As your succulents start to grow roots they will need a light spray on occasion and they need to be kept out of direct sun. Keep your wreath in the tray, in a cool dry position with filtered light. 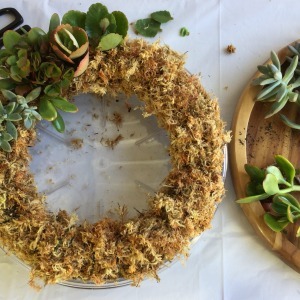 *Note: If you would like to hang this wreath on a wall or door, remember your succulent cuttings will need around 4-6 weeks to grow roots before they will be stable enough to hang. 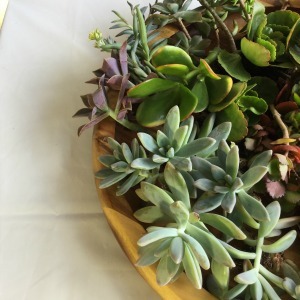 We would love to see your version of a succulent wreath or table decoration. Come on over to our Facebook group and post your pics.